Raymond Tanter is a visiting professor at Georgetown University known for his single-minded obsession with promoting regime-change efforts against Iran. He has been an adjunct scholar at an adjunct scholar at the “pro-Israel” Washington Institute for Near East Policy (WINEP) and a member of the neoconservative Committee on the Present Danger, both of which are associated with the rightwing “pro-Israel” lobby in the United States. Tanter is also the founder of the Iran Policy Committee (IPC), which was established in January 2005 to promote regime-change strategies in Iran. Tanter’s experience includes serving on the National Security Council during the first Ronald Reagan administration and as a Pentagon arms control adviser. Tanter has been a key U.S. supporter for the People's Mujahedin Organization (MEK), which was on the State Department’s list of international terrorist organizations from 1997 until 2012—when it was removed after years of an aggressive and well-funded lobbying campaign supported by a bipartisan cast of high-profile former public officials, including Tanter. 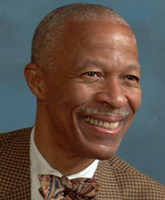 Tanter revived these arguments in a February 2010 IPC press release, claiming the “regime crackdown after the June elections has fomented a new cohesion among dissidents,” including the MEK and the National Council of Resistance of Iran (NCRI), widely considered a front group for the MEK. “Designation of the NCRI and MEK as foreign terrorist organizations acts an obstacle to building a coalition of dissidents. The irony, however, is that members of the MEK are paying a disproportionate price by being singled out for hangings among the thousands of individuals arrested since June,” Tanter said. Tanter, who argues that the MEK "is genuinely committed to democracy and not pretending just to gain support," has suggested that the exiled group embodies the bulk of Iran's opposition, comparing it favorably to the domestic Green Movement. Iran's regime, Tanter wrote in a 2011 National Interest op-ed, "delegitimizes and seeks to destroy the MEK because it challenges clerical rule. By contrast, other dissident organizations, such as the Iranian Green Movement faction headed by Mir Hossein Mousavi, accept clerical rule." In fact, Tanter has argued that “other opposition groups really don't exist," or at least "no other opposition force the regime cares about." Tanter has also claimed that U.S. intelligence assessments of the group's terrorist activities and purported unpopularity inside Iran "resemble regime propaganda against the MEK." Muhammad Sahimi, a columnist for Tehran Bureau and Antiwar.com, responded to these claims, arguing, "Apparently the argument is that because the Iranian regime grossly violates its citizens' human rights, and its president denies the Holocaust, the State Department should delist the MEK because it opposes that regime. … Tanter seems to claim that anyone who believes that the MEK has no significant support within Iran is a tool of disinformation campaign by the [Iranian] regime." Both NCRI and the MEK also figured prominently during a 2005 IPC National Press Club briefing. Tanter opined at the meeting: "Empowerment requires working with Iranian opposition groups in general and with the main opposition in particular. The National Council of Resistance of Iran (NCRI) and the Mujahedeen-e Khalq (MEK) are not only the best source for intelligence on Iran's potential violations of the nonproliferation regime. The NCRI and MEK are also a possible ally of the West in bringing about regime change in Tehran." During the George W. Bush presidency, the Iran Policy Committee also maintained strong ties with foreign policy hawks on Capitol Hill. In April 2005, for example, the IPC convened a briefing at the invitation of the Iran Human Rights and Democracy Caucus of the U.S. House of Representatives, which was co-chaired by former Rep. Tom Tancredo (R-CO) and Rep. Bob Filner (D-CA). During the event, Tancredo raised the issue of the terrorist designation of Iran's main opposition group, the Mujahedeen e-Khalq organization (MEK), and IPC panelists concurred on the need to remove it from the U.S. Foreign Terrorist Organizations list. Rep. Tancredo claimed that the MEK was designated not because it was involved in terrorist activities, but because the Clinton administration sought to curry favor with the Iranian regime. According to an IPC press release, Tanter told Tancredo and other Caucus members: "While Iran's nuclear clock is ticking very fast, the clock for a regime change is much too slow." "And if Iran were to acquire the bomb before the people are able to change the regime, it might obtain a new lease on life, act to extend the Iranian Revolution throughout the region, and threaten U.S. interests in countries like Iraq, Afghanistan, Pakistan, Saudi Arabia, Jordan, and Israel." On May 11, 2006 IPC released a policy paper, What Makes Tehran Tick, which concludes that Iran's hostility toward Israel and the United States is less a result of feeling threatened or living in a "tough neighborhood" than of "the nature of the regime's revolutionary ideology." Explaining the new IPC white paper, Tanter stated, "The Islamist nature of the regime takes on enhanced importance because Iran is on the road to acquiring nuclear weapons, and there are few exit ramps along the way." 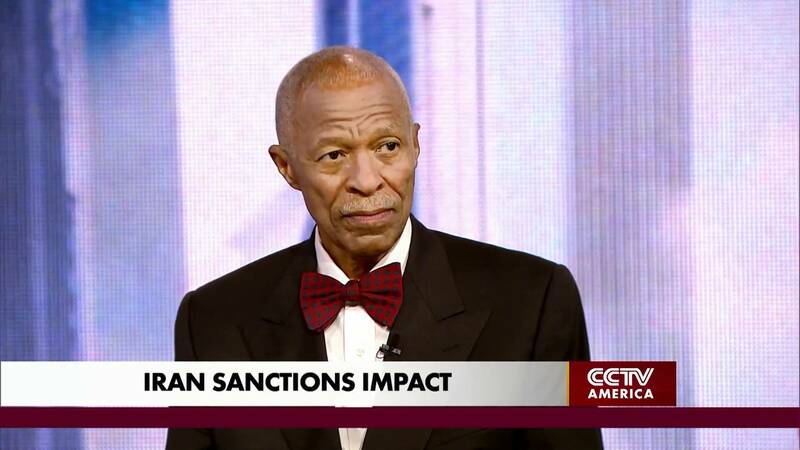 Tanter went on, "Given the Islamist character of the Iranian regime and its nuclear potential, only regime change ends the threat of a nuclear-armed Islamist Iran. Diplomacy and military strikes would only delay the onset of the Iranian regime acquisition of nuclear arms." WINEP, Raymond Tanter biography, http://www.washingtoninstitute.org/templateC11.php?CID=515. Iran Policy Committee, “Mission Statement,” http://www.iranpolicy.org/mission.php. Iran Policy Committee, “About,” http://iranpolicycommitteepublishing.com/about/. Raymond Taner, “A Postmortem for Failure of Nuclear Talks With Iran,” Foreign Policy, January 31, 2014,http://shadow.foreignpolicy.com/posts/2014/01/31/a_postmortem_for_failure_of_nuclear_talks_with_iran. CCTV America, “The Heat explores how US, Iran can find common ground,” October 2, 2014, http://www.cctv-america.com/2014/10/02/the-heat-explores-how-us-iran-can-find-common-ground. CNBC, “Has the West done enough to pressure Russia?” July 29, 2014, http://video.cnbc.com/gallery/?video=3000296703&play=1. Raymond Tanter, “Can People-Power Defuse Iran’s Nuclear Threat?” Middle East Forum, March 10, 2010,http://www.meforum.org/2611/people-power-iran-nuclear-threat. Scott Shane, "Iranian Dissidents Convince U.S. to Drop Terror Label," The New York Times, September 21, 2012,http://www.nytimes.com/2012/09/22/world/middleeast/iranian-opposition-group-mek-wins-removal-from-us-terrorist-list.html?pagewanted=all&_r=0. Jeffrey Donovan, "Iran: Pressure Builds On Washington To Promote 'Regime Change," Radio Free Europe, June 17, 2003,http://www.rferl.org/content/article/1103549.html. Iran Policy Committee, “Iranian Nuclear Arms Control: Engagement and Democratic Change of the Iranian Regime,” February 2010, http://www.iranpolicy.org/ipcNews.php?id=3. Howard LaFranchi, "A bid to foment democracy in Iran," Christian Science Monitor. February 17, 2006,http://www.csmonitor.com/2006/0217/p03s03-usfp.html. Muhammad Sahimi, "Of Terrorists and Turncoats: Exposing MeK and Its Defenders," National Interest, October 27, 2011,http://nationalinterest.org/print/commentary/terrorists-turncoats-exposing-mek-its-defenders-6098. Strategic Policy Consulting, "Biography: Alireza Jafarzadeh,” http://spcwashington.com/?option=com_content&task=view&id=32&Itemid=49. IPC, "What Makes Tehran Tick," May 11, 2006, http://www.iranwatch.org/privateviews/IPC/perspex-ipc-whatmakestehrantick-050906.pdf. An End to Impunity for MEK Boosters?